That’s right, the little blog we started as an experiment 4 years ago has now published 1000 posts! Loosely inspired by NASA’s Astronomy Picture of the Day, the plan was to post “Something awesome from across the Zooniverse every weekday”, and for one thousand days now we have tried to do just that. We’ve shown you fascinating images of animals in their natural habitats, delivered majestic scenes of deep space, asked you for help on almost one hundred new Zooniverse projects, heard from volunteers, researchers, and Zooniverse team members, introduced you to the wider world of citizen science, and so much more. 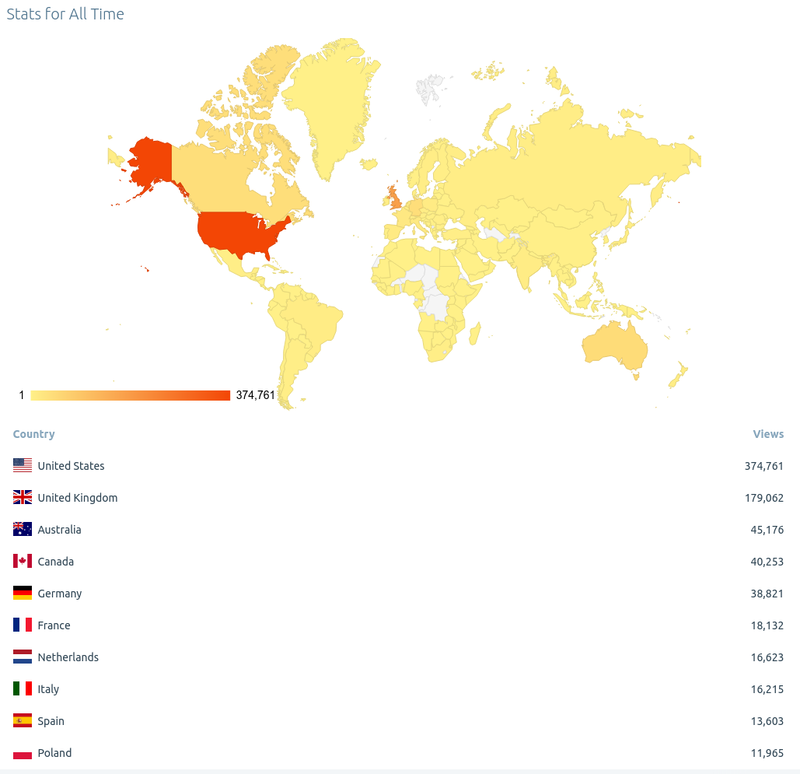 As you can see from the image above, the “Daily Zoo” has now been read in almost every country on the planet. Thank you for your support. Thank you for reading. Here’s to the next 1000 posts! PS: Remember, if your on a Zooniverse project and spot something you think we should post, tag it in Talk with #dailyzoo. Previous Previous post: Calling all Chicago-area Zooniverse volunteers! Next Next post: The Giraffes Are Back!